What is a Microscope Camera? Microscope cameras capture images that have been magnified using a microscope. 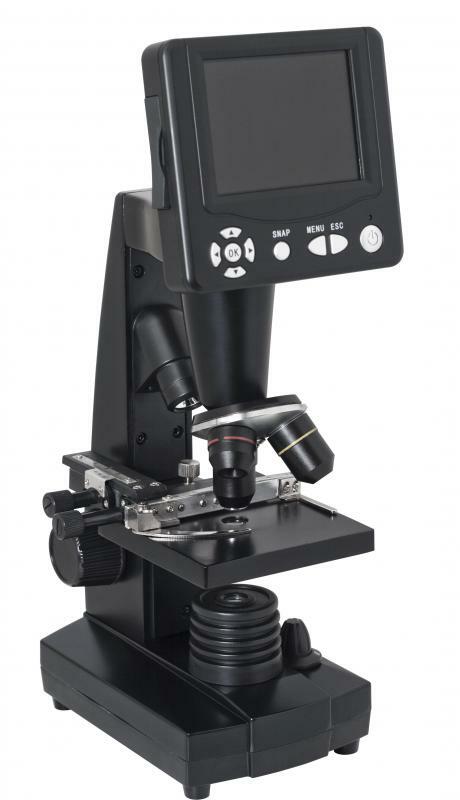 All-in-one digital microscopes often have picture-taking capabilities. A microscope camera is a camera which can be used to capture still or moving images in microscopy. These images have the same level of magnification provided by the microscope, allowing users to create a permanent record in crisp, clear detail of objects viewed through a microscope. Many scientific labs have microscope cameras for use by their researchers, and casual users may also like to photograph the things they view with microscopes for posterity or interest. In some cases, a microscope camera may be integrated directly into a microscope for ease of use. Users can focus and view through the eyepiece, and activate the camera when they want to take a picture. The camera photographs whatever is being seen through the eyepiece, sometimes providing a preview on a computer screen so that the user can make any adjustments which may be necessary. Microscopes with integrated cameras tend to be rather expensive, especially if the microscope and camera are of high quality. Other designs are meant to work with a microscope, usually by fitting over the eyepiece with special attachments. In the case of a digital camera, the camera may have a small viewing screen to allow people to see what the camera sees, or a preview may be provided on a computer screen next to the microscope. Both digital and film cameras designed for use with microscopes are available from scientific suppliers and optical companies. Some hobbyists prefer to modify generic cameras for use with a microscope. This can be accomplished by adding an attachment to the camera so that it can be used with a microscope eye piece. Scientific supply companies sometimes sell kits for this purpose, and people who are skilled at such things can also fabricate specialty attachments to make a microscope camera. The image quality may not always be the best, but this option can be much easier to use and much less expensive than a specialized microscope camera. 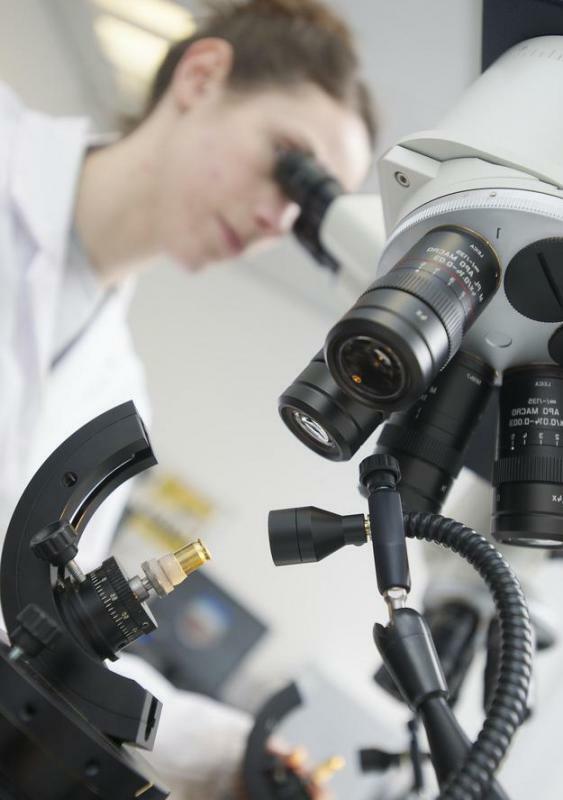 As when choosing a regular camera, there are a number of options to consider when evaluating a microscope camera. The choice between a digital or film camera is an important issue, as are things like lens quality, resolution, the sensitivity of the camera's sensor, and the ability of the camera to interface smoothly with existing equipment. For those who have an opportunity to do so, it can be a good idea to test several models in a lab to see which one feels most comfortable to use, and to look at samples from various microscope cameras to get an idea of the kind of image quality to expect. What is a CCD Camera? What is a Digital Microscope Camera? What is a Pet's Eye View Camera? What does a Microscopist do? How do I Become a Histology Technician?